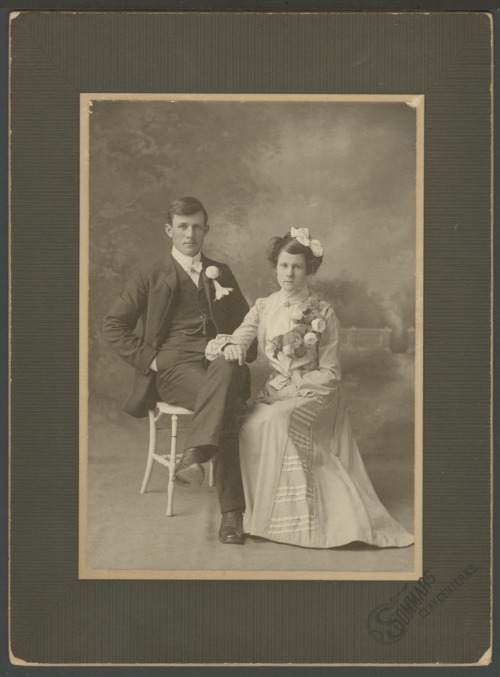 This is a studio portrait of Warren Walsworth Newton and Eva Angeline Dennis Newton possibly taken on their wedding day in Clay Center, Kansas. They later moved to Topeka where Warren worked for the state highway department. Warren and Eva lived at 1038 College in Topeka, Kansas.